A simple A/B testing tool for WordPress that enables the admin to create and run A/B testing directly in the WordPress content (as a Gutenberg block). 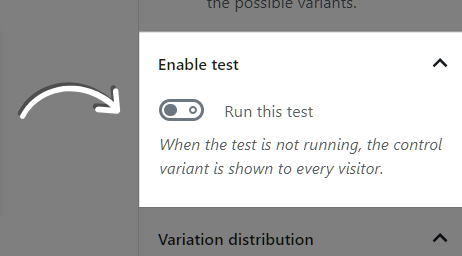 Each block will contain the variants of your test and allow you to configure the tests. You can find the A/B Test block in the “Widgets” category. 1. Search and find the A/B Testing for WordPress on the Add Plugins page. 3. To add a new test to your content, go to the edit page of the post or page you want to add the test to. 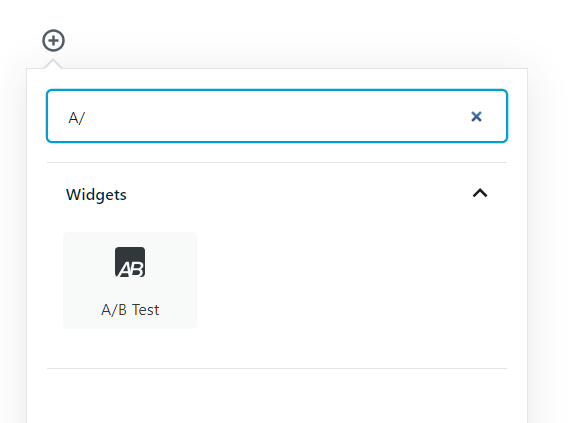 Add a new “block” to the content, search for “A/B Test” under the category “Widgets”. 4. A prefilled A/B Test container will be put on the page. The test contains two variants: “A” and “B”. Change the content of the variants as you please. 5. You can switch between editing variants in the tab bar. 6. Adjust the distribution weight of the variants. More weight means more chance to land in the experiment. 7. Select the goal which needs to be tracked. 8. 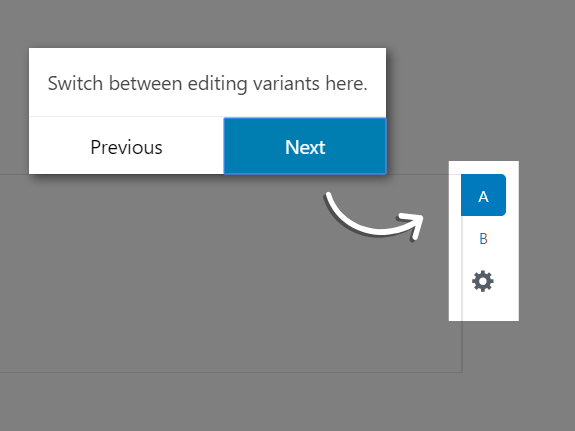 Select the variant which will act like the control version. It will be shown by default when the test is not running, or when the page gets indexed by search engines. 9. Enable the A/B test and done. 10. 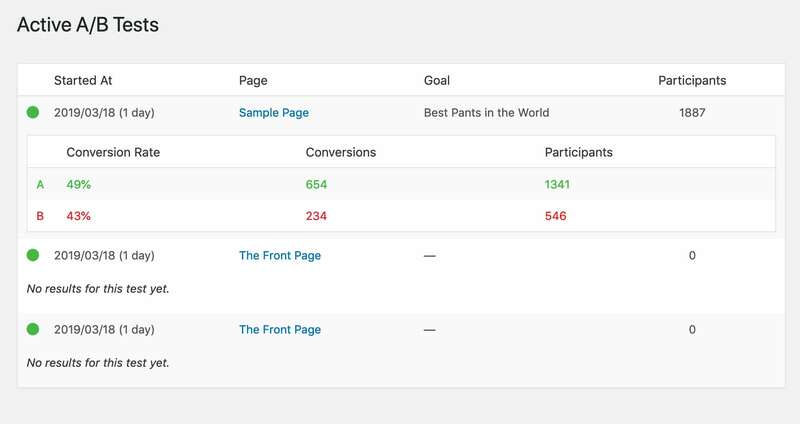 You can find all the A/B tests and results in the admin panel.